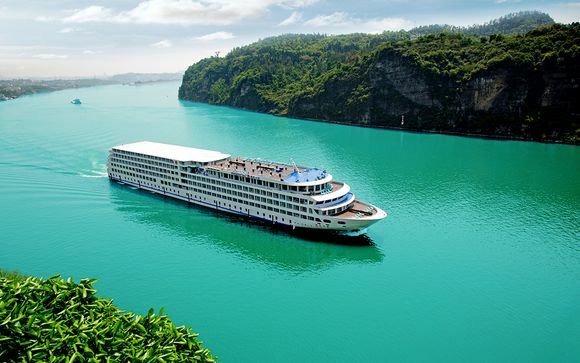 Booking to China up to -70% off To take advantage of these offers, join now for free! Are you considering China as your next travel destination? Well, look no further. China can accommodate your travel needs, irrespective of whether you are a solo traveller, travelling as a couple or as a family. As a country, China has so much to offer and caters to all needs and interests because of its vast yet varied history and phenomenal cuisine. Whether you’re interested in visiting the World’s greatest tourist sites or are more interested in a relaxing shopping trip, China has something for you. China is definitely an up and coming destination for tourists and it’s clear to see why this is the case. China hosts a rich history buried deep in culture and tradition – a serious mix of exotic tradition and sophisticated cosmopolitan cities. China is renowned for being one of the world’s four ancient civilisations and boasts a history of over 3000 years, with monumental treasures that significantly trump those of other countries in terms of size and style. Foodies all over the world are able to appreciate the delights of Chinese cuisine, and each region has its own specialist, unique dishes to feast on. Animal lovers will also be able to witness the phenomenon of pandas – China is the only place where the giant panda lives outside of captivity – the world’s most treasured endangered species, in their natural habitat. 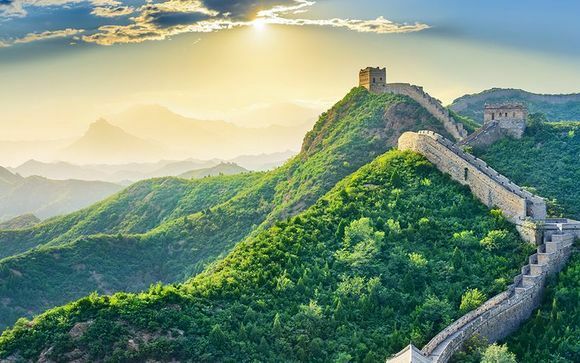 The world’s longest wall at a staggering 21,000 kilometres long, and one of the most iconic symbols of China and Chinese culture, the Great Wall of China has a history spanning almost 2700 years. Whilst some of the wall is now in ruins, it remains one of the most appealing tourist attractions in the world because of its architectural grandeur and cultural significance. Tours are frequent at various points along the wall and host beautiful views of the surrounding landscape. This is not to be missed. The Terracotta Army, located in Xi’an, is one of the most impressive and significant archaeological finds, and hosts more than 7000 life-size figures of soldiers and horses arranged in battle figures. 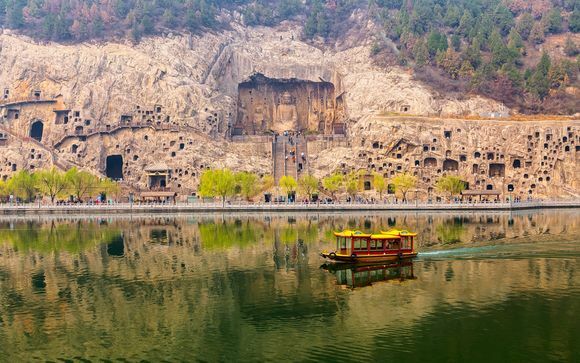 This 2000-year-old underground army was decisive in forming a united China and is a must-see for all visitors to the city. It simply must be seen to truly appreciate its wonder. 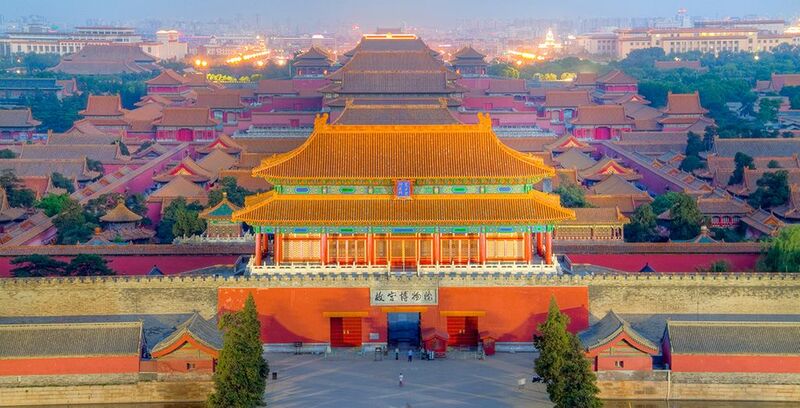 The Forbidden City, otherwise known as the Palace Museum, once served as an imperial palace for 24 emperors during the Ming and Qing dynasties. Chinese philosophers believed that the purple star was the centre of the universe, so consequently the Emperor lived in the Purple Palace. Unique and delicately structured towers on the four corners of the building offer views over both the palace and the city outside it. 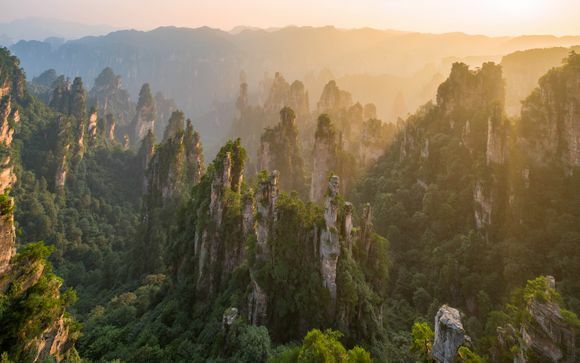 The Yellow Mountains, situated between Shanghai and Hangzhou, are probably the most famous mountains in the south Anhui Province. Famous for peculiar natural sceneries composed of four wonders - Strange Pines, Absurd Stones, Sea of Clouds and Hot springs - the Mountains host a number of hiking trails perfect for more adventurous, thrill-seeking tourists. 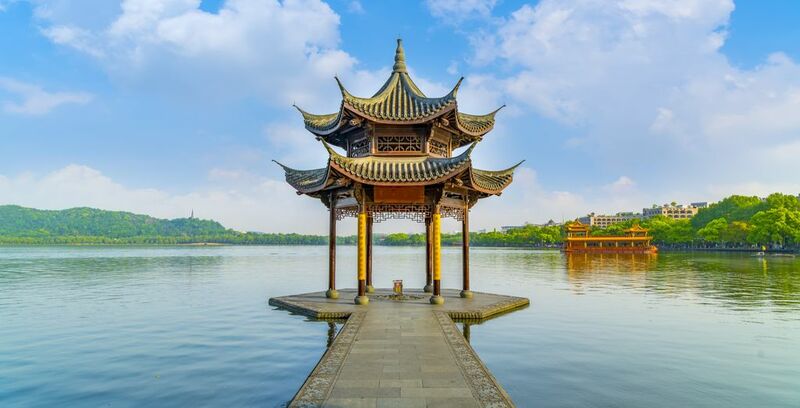 Referred to as China’s ‘Paradise on Earth’, Hangzhou hosts beautifully crafted landscapes such as the tranquil West Lake, which was crafted to represent China’s love for garden-style recreational parks. Visitors to the park are able to rent bicycles to admire the lake’s stunning beauty and take a short cruise across it to get a more hands-on experience. Why settle for anything less than the best? 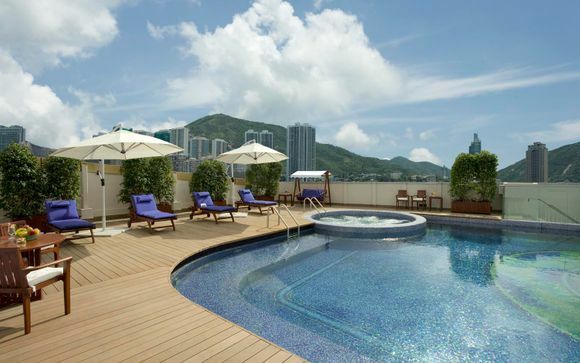 When placing a China booking, be sure to choose the best hotels, suited to all of your needs - there is a range of high-end accommodation on offer. When staying within Shanghai, check into the Sunrise on the Bund 5* Hotel, a mix of modernity with class and sophistication. In Xi’an, a stay at the Grand Dynasty Culture Hotel is essential, whilst the Shichahai Shadow Art Performance Hotel in Pekin leaves little to the imagination. Taking an arranged tour of China may well be more suited to some travellers, allowing them to visit the major attractions as well as stay in beautiful accommodation. What is the weather in China? China has a seasonal and continental climate and deciding when to visit this beautifully vast country depends entirely on which places you wish to visit whilst you are there, the weather you would prefer and how much money you want to spend to achieve this. China has the largest climate differences for a single country, hosting hot and dry winters and hot, humid summers. Visiting China in the spring brings about modest temperatures of around 20 degrees centigrade, while summer temperatures rise to much higher than this. On the contrary, winter months can be very cold, so wearing appropriate clothing is absolutely essential. 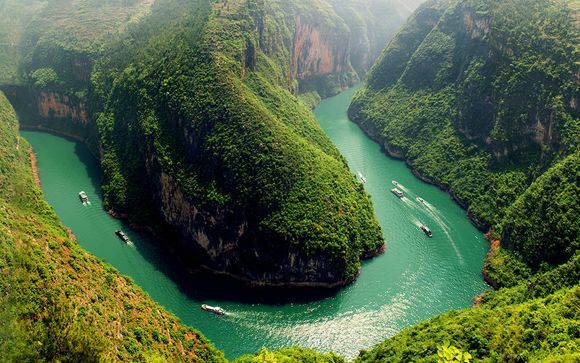 Southern China has a monsoon season throughout the summer months, with an average of 233mm of rainfall in July. One of the major weather issues in China is actually concerning air pollution; checking to see when air pollution is at its least problematic is essential prior to visiting the country, particularly if you have pre-existing health conditions. All of these factors should be taken into consideration before choosing where to visit in China. As China’s economy has picked up pace over the last decade, everyday living costs have risen. Compared to its neighbouring countries, China can seem quite expensive. 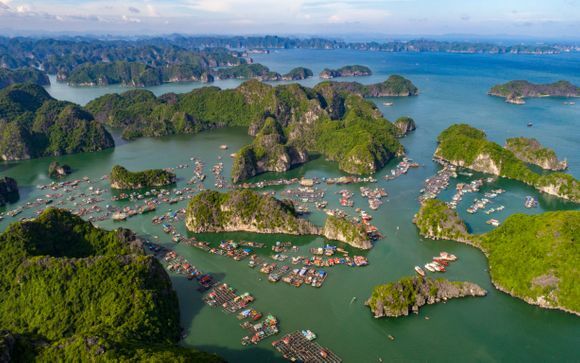 However, for visitors from Europe, Australia and the United States, visiting China is still a bargain and when budgeted correctly, can be a particularly inexpensive trip. Having the knowledge of how and when to travel in China is key to ensuring you don’t have to compromise on experience in exchange for keeping your budget low. Budget conscious travellers may well find it is possible to get by on Y150 a day, which is around £15, by staying in dorms, travelling around the country by bus and eating inexpensive street food. For those with a less frugal budget, expect to pay around Y350-500 per day, which will include a mid-range hotel, eating in a restaurant and entry into tourist attractions. Discover our holidays to China and booking to Pekin.